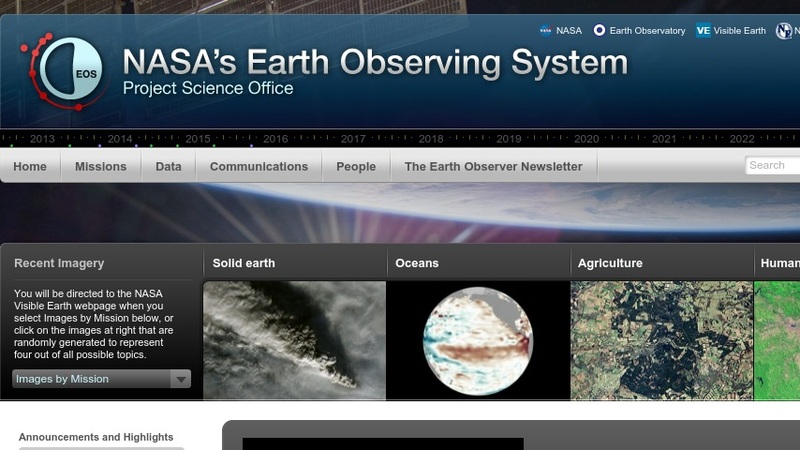 The Earth Observing System (EOS) consists of a series of Earth-observing satellites, a data system, and teams of scientists who will study the data. Educators can access a set of links to educational materials and publications, and real-time satellite tracking data. Other materials include mission profiles, information on the 24 measurements taken by EOS, research papers and reports, news articles, and others. A data services section provides access to datasets.